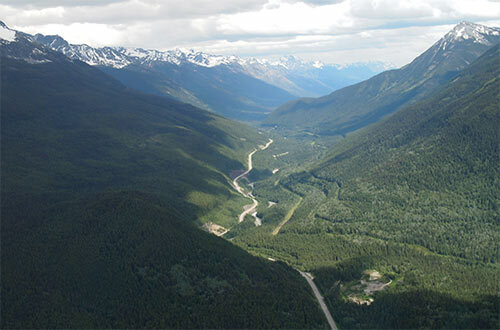 The wood supply is diverse in the Robson Valley. In the area around Crescent Spur and McBride you can find a significant amount of old growth cedar and hemlock stands. Further south, near Valemount younger stands of lodge pole pine and Douglas fir are common, although the pine beetle infestation is making inroads into the pine inventory. When the land was originally developed land clearing was often accomplished by burning, resulting in regeneration with deciduous trees such as aspen, cottonwood, and birch. On upper slopes in the sub-alpine areas, spruce and balsam stands are frequently found. With significant amounts of residual wood and fibre available, there is potential for development of alternative energy applications and industry in the bio-energy sector. Wood waste is currently sold for pellets into the Prince George market.